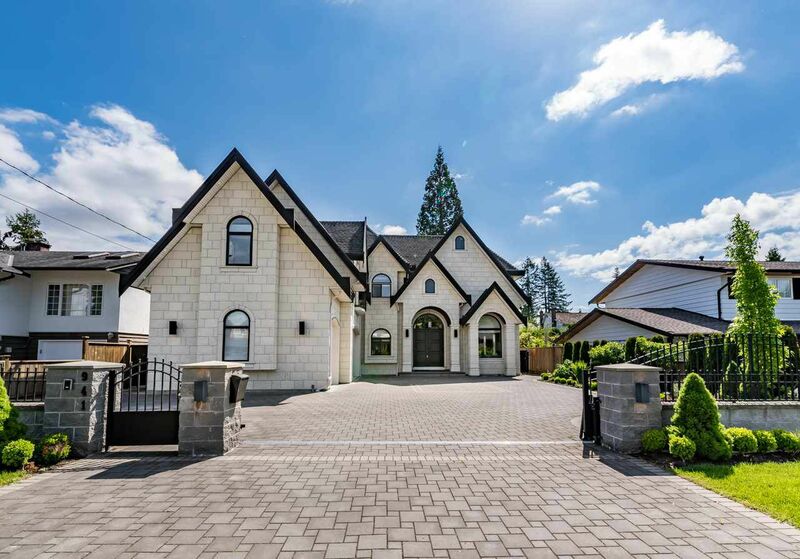 Magnificent custom built 8 bedroom, 8 bath home with all the bells & whistles! Gated entry opens to impressive paving stone driveway/courtyard with triple garage. Featuring a grand entrance, with ultra-high ceiling & high-end appliances, for the serious cook there is an extra kitchen with walk-in pantry, second fridge & handy access to exterior barbecue. Convenient main floor guest bedroom with ensuite. Upstairs offers 4 bedrooms, including a beautiful master suite with sumptuous ensuite. Downstairs features 2 self-contained suites and games room. Fenced & beautifully landscaped backyard with 3 car garage.